Pakistan is faced with many problems today and there is no doubt that terrorism is the biggest one of them. The current government is working on its Internal Security Policy and has so far only drafted some laws which are indeed questionable and draconian in nature. This government has proved unable to take a solid stance against terrorism and is therefore failing on its mandate to truly represent the people of Pakistan. This failure is certainly also due to controversies associated with the last general elections which raise many questions about the legitimacy of the current government. 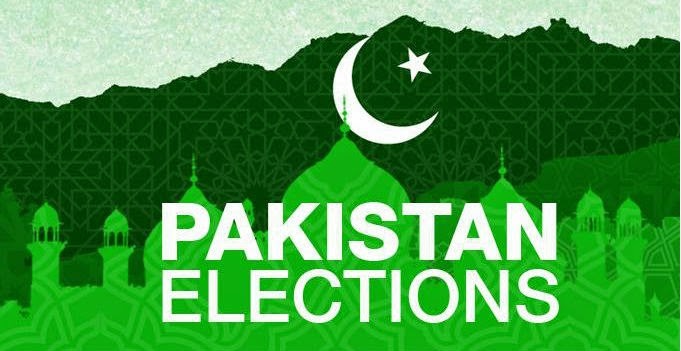 On May 11 2013, Pakistan’s historical general elections took place. This was the first time that a civilian government conduced elections after completing its tenure. However the elections are likely to be one of the most corrupt elections, arguably the second most rigged elections in Pakistan’s turbulent political history. To give a brief historical background, the first general elections were conducted in Pakistan in 1970. This election was unanimously regarded as the most fair and free election in the history of Pakistan. But all the elections that have followed ever since have had some element of rigging. The 2013 general elections are no exception. Let us in this context analyze the reports of Free and Fair Election Network (FAFEN), an advocacy group for monitoring elections and ensuring transparency. According to a recently published report of FAFEN, in 35 out of 266 National Assembly constituencies the number of rejected votes is higher than the numerical margin of victory. This means that if rejected votes had been counted, the possibility of the results being in favor of a defeated candidate would have been very high. Rejecting a vote is an arbitrary decision of the presiding officer and only an impartial inquiry in this matter can reveal the real reason why the votes were rejected. Indeed, the staggering number of rejected votes cannot be ignored. Political parties such as Pakistan Tehreek-e-Insaf (PTI) raised their voice against alleged riggings the very next day of the elections. Many defeated candidates appealed in election tribunals. Some cases were summarily rejected, some are still pending, and the tribunal ordered verification of thumb impressions on the votes polled in some other cases. The constituency of NA-258 Karachi was the first place where thumb impressions were verified. The results showed that only 2475 votes polled out of 32695 in 33 polling stations were legitimate. The next constituency where thumb impressions were verified was NA-256 Karachi. The results were similar. Out of the 84,448 casted votes, only 6,805 were verified. The numbers are staggering and the results reveal a rigging of mythical proportions in these constituencies, which is enough to question the legitimacy of elections in these and other troubled constituencies. When the thumb verification results came out, exposing the huge election rigging, the winners, in panic, decided to seek help from the court to prevent further verification by thumb impressions. Many candidates were able to secure stay orders on thumb impression verification and this effectively curtailed any efforts to expose further rigging in general elections. Among those who curtailed the verification process was Chief Minister of Sindh, Qaim Ali Shah, who secured a stay order in his provincial constituency of PS-29. Ejaz Hussain Jakhrani of Pakistan People’s Party (PPP) acquired a stay order for his constituency of NA-208; Nawab Ali Wasan of PPP did the same for his constituency of NA-215. In Punjab, Malik Riaz of Pakistan Muslim League – Nawaz (PML-N) acquired a stay order on NA-118. The list of candidates that have acquired a stay order goes on and on. The question that now arises is, if there had not been any rigging and the candidates had won fair and square, then why fear thumb verifications? No prize for guesses here. There are other indicators that those who won elections did everything possible to curtail the verification process. The thumb verification process was carried out by National Database and Registration Authority (NADRA). In order to stop NADRA from verifying more thumb impressions, the PML-N government in Pakistan first sacked its chairman Tariq Malik. Tariq Malik was reinstated by Islamabad High Court the next day. The government then started using bullying tactics against Malik. He was unfairly questioned by Federal Investigation Agency for irregularities, government agents followed his wife and an anonymous person from Faisalabad threatened his daughter on her mobile phone. Tariq Malik eventually succumbed to the pressure and resigned, just as the government had intended. If the elections had been fair, why did the government resort to such cheap tactics that led to the resignation of the NADRA chairman? The PTI has been vocal against massive rigging in Punjab province by PML-N. In Sindh, PPP was blamed of rigging the elections in interior Sindh, and Muttahida Qaumi Movement (MQM) in Urban Sindh. PTI is blamed by its opponents to have won elections through rigging in the province of Khyber Pakhtunkhwa. Balochistan which is an insurgency wrecked province was the biggest victim of rigging. No thumb verification has taken place in Balochistan and if it had been conducted in some constituencies then it certainly would have revealed rigging even greater in magnitude than in other parts of Pakistan. Now there isn't much left to be done, but the government must ensure that such massive rigging doesn't take place in the 2018 elections. This can only be ensured by using an electronic voting system. The incumbent winners should not brag about their mandate because it is controversial and they should rather do their utmost to bring electoral reforms till next elections.The 2013 elections have been massively rigged and everyone supports this claim other than those parties who have won the elections. For the sake of formal continuation of democracy, the result of the elections has been accepted by all political parties.